It is with unbelievable pride and enthusiasm that we extend an incredible “thank you” to our Benefit Committee for their dedication, commitment and perseverance over the past few months. In total, our fearless Benefit Leaders, Jacki and Dana, organized 13 sub-committees supported by more than 30 volunteers to take Prescott down the path of fundraising success. Pulling together an event such as this is a difficult task but collectively, the team successfully inspired participation, motivated action and compelled generosity from the entire Prescott community. This year’s team faced roadblocks, challenges and hurdles and not only did they exceed our expectations for a tremendous event but they managed to secure in excess of $80,000 for Prescott, more than double what we raised just two years ago. Just think about it,… in 2017 we were thrilled to raise $40,000 and now in 2019, based on the support of the community and our wonderful Benefit team, we have set Prescott on a new path! Of course, the Benefit Team is working for YOU, the Prescott Community and without YOU, none of this is possible. You have been a long-term supporter of our efforts, an unyielding advocate for your child(ren) and a consistent voice for change. Prescott doesn’t succeed without YOU and your willingness to step in, take action and voice your feedback is what fosters the school’s ability to serve our students. “It takes a village” holds a new meaning…anything worth fighting for is worth fighting for together…as a team, as a partnership and as a family. 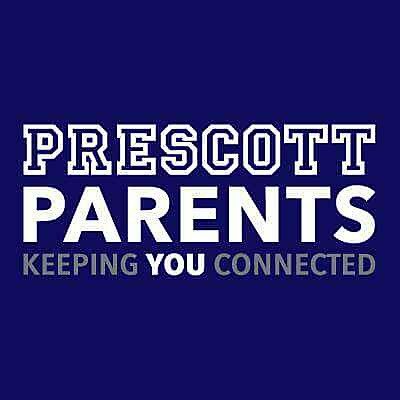 On behalf of Prescott Parents, I am humbled and forever grateful to be involved with a such a remarkable community. Thank you to EVERYONE that supports Prescott.